Looking to lose or gain weight, adopt some healthier eating habits, or change your diet completely? You may like to get in touch with a qualified dietitian. Dietitians can help you discover an eating plan that not only helps you achieve your physical goals, but also nourishes your body from the inside out. In this article, we’ll share with you our favourite dietitians in the Canberra region. These professionals have achieved outstanding results for their clients time and time again, putting them on a lifelong path to health and wellness. Let’s be honest – most of us get our healthy eating inspiration from TV shows and Instagram. Unfortunately, these platforms don’t always communicate factual information or portray a realistic diet tactic for your lifestyle. A dietitian with the following traits can help you reach your goals safely, while introducing you to a sustainable, long-term approach to eating well. Real qualifications. We are not talking about some six-week course. 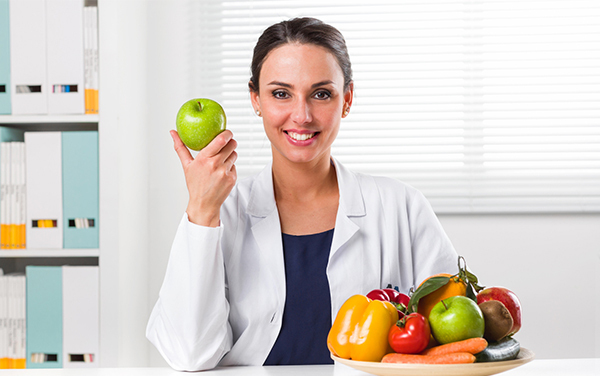 Look for a dietitian with real qualifications. A proven track record. Has the dietitian that you’re considering got a proven track record of success stories? Social proof is powerful. Expertise related to your goals. Some visit a dietitian to recover. Others to lose weight. Some to bulk up. Others to make a full 180-degree lifestyle change. Whatever your goal, look for a dietitian with relevant expertise. Flexibility. We all know how hard it can be sticking to a food plan, especially if you’re less than keen on certain ingredients. The best dietitians can create a fully customised eating system that you can actually follow. Your best interest at heart. Some dietitians will do whatever it takes to achieve your goal weight. Unfortunately, this is sometimes done at the cost of your nutrition. Lack of calories can lead to fatigue, poor concentration, and irritable moods. Opt for a dietitian that truly has your best interest at heart. If you’re looking to lose weight or bulk up, Integrated Fitness and Nutrition is a fantastic option. With a dedication to achieving real results, the dietitians at Integrated Fitness create an approach to exercise and eating that caters to your unique goals and needs. The team at Integrated Fitness and Nutrition are not afraid to share ‘hard-to-swallow’ truths. They believe that knowledge is power and hard work pays off. So, if you are looking for an effective, no-nonsense, inspiring, fully qualified team to lead you on your journey to better health and fitness, get in touch with Integrated Fitness and Nutrition. The Healthy Eating Hub is the largest collective of qualified nutritionists and dietitians in the Canberra region. Their professional team have dedicated years to the study of food and wellness, and can deliver sustainable, realistic, balanced eating advice. With a practical approach and compassionate attitude, you will discover a dietitian that can guide you toward a life of health and vitality. Fitness, energy, education, and diet – the four focus elements the team at FEEDinc believe nurture our health and wellness. They work on a tailored eating and fitness plan designed to help you regain your vitality and become an active participant in life. With knowledge of weight loss, heart disease, IBS, allergies and intolerances, and more, their passionate team stick by your side on your journey to better health. Have you visited a dietitian in Canberra? Share your thoughts below. Michelle Walton: The Food Lovers’ Dietitian!